The beginning was on November, The high prices of PCs in Yemen and the absence of organizational awareness in the minds of businessmen were of the most important difficulties in front the decision to establish the first national company specialized in software development and marketing, for nearly two years YemenSoft continued the instruction of the administrative and financial organizational structure for the company products, improving its staff and investing for all that before starting any marketing activity. 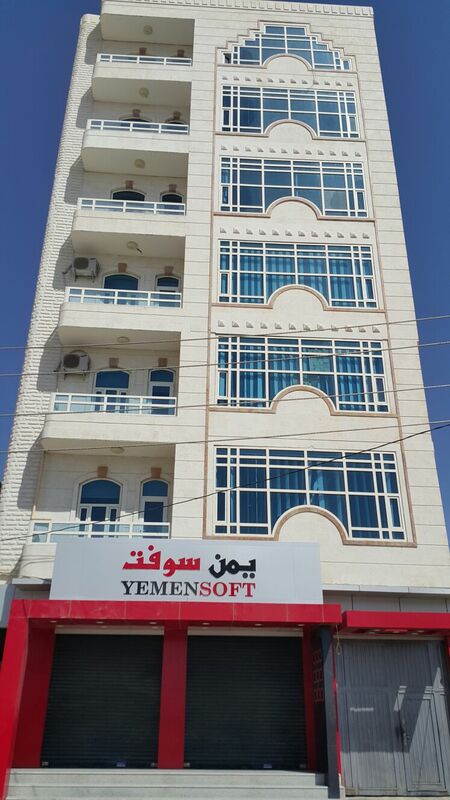 When client started using YemenSoft systems after the establishment phase, YemenSoft gained the trust of their clients in several sectors in various levels as a result of commitment fulfillment, responsive approach with needs of clients and market in addition to the flexibility in upgrading systems continually. In that stage the company multiplied the staff ; programmers, technicians, trainers, consultants who provide services after sale. YemenSoft work team has worked to enable clients use the systems and break the fear barrier to deal with technology. And since October 1996 YemenSoft has gained the trust of the donors and development partners in Yemen due to the accomplishment of developing the billing systems for water supply projects with high quality and scientific standards. In the middle of 1999 YemenSoft started working according to the international quality standard procedures. YemenSoft proceeded achievements when it exceeded many of big companies and on june 2002 won the bid for the implementation of the governmental accounting and financial system which, had funded by World Bank ,proving YemenSoft experts competency.